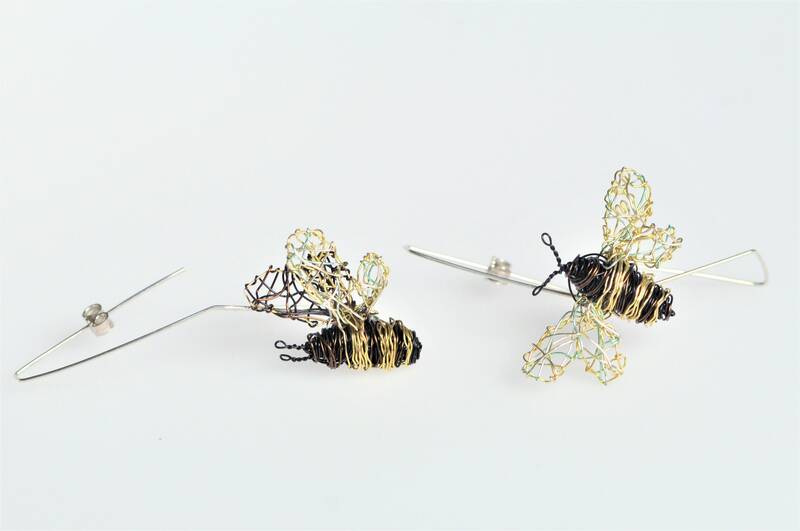 Bee earrings, handmade ​​of colored copper wire and silver. The height of the unusual bee with open wings is 1.8 cm (0.71in). And the wingspan is 3.4 cm (1.34in). 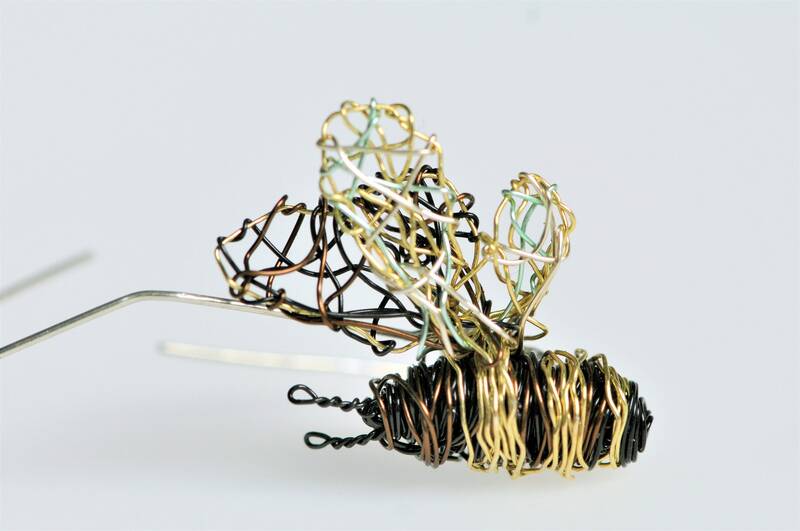 The height of the black gold bee earring with closed wings is 2,5cm (0.98in) and the wingspan too. Overall Height 5.5 cm (2.17in). 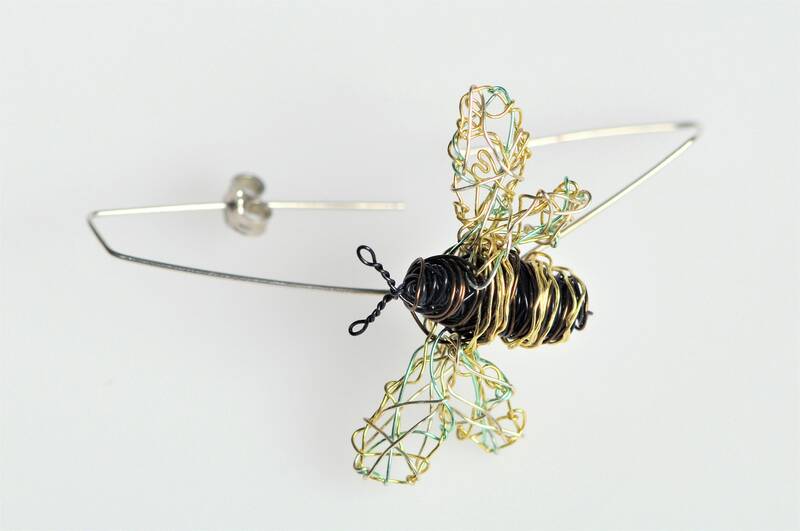 Clips and wire from which standing the bees is solid silver. 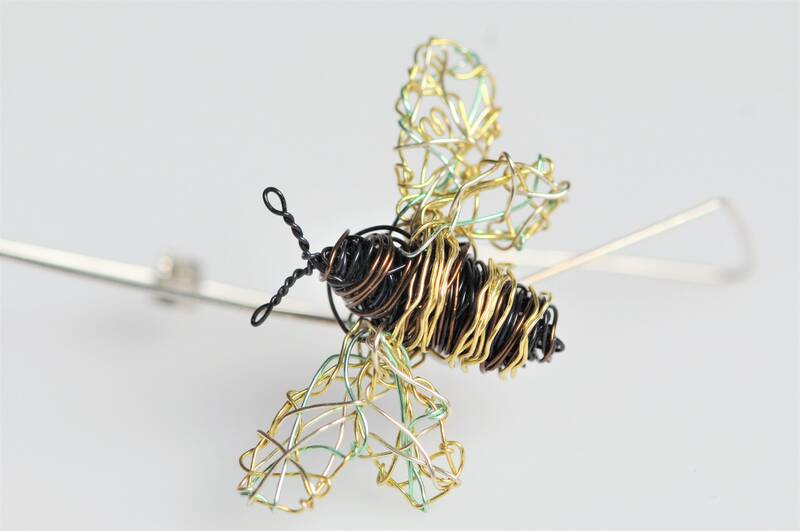 This listing is the same earrings, made of real gold 14k, copper wire, and silver. 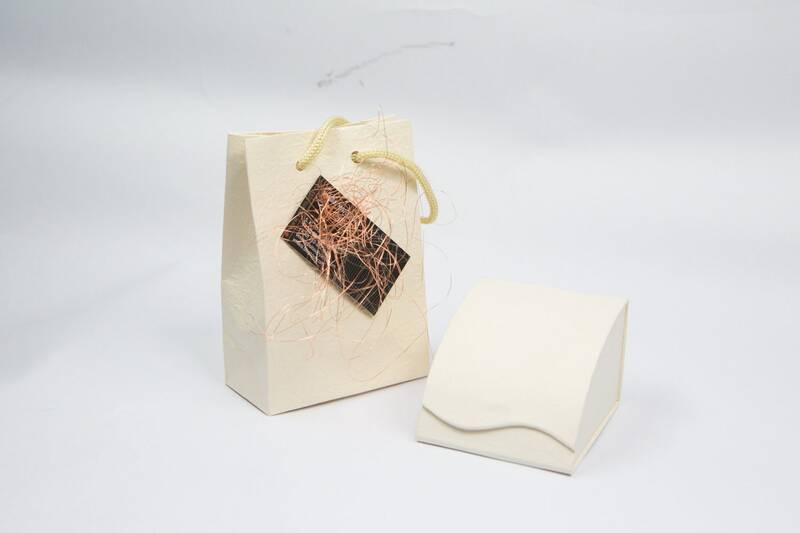 Cute little bees, nice packaging, items arrived fast!